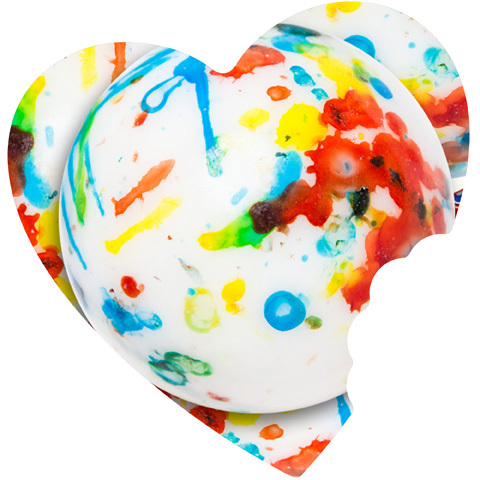 Colossal Jawbreaker is right! Colossal Jawbreakers are approximately 4" in diameter and made of many layers of hard candy that could literally last you a lifetime. 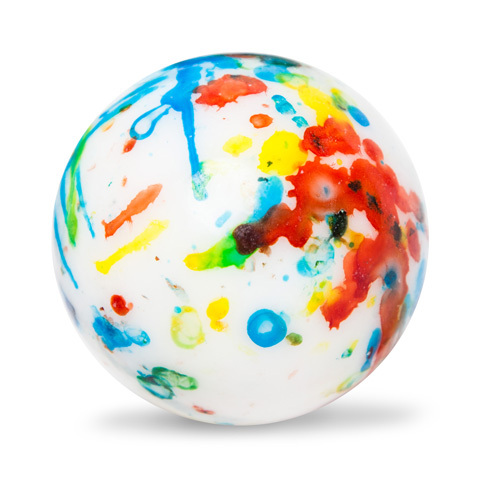 Mostly white, the Colossal Jawbreaker is each uniquely colored with psychedelic splatters of color. Net weight approximately 24 ounces.